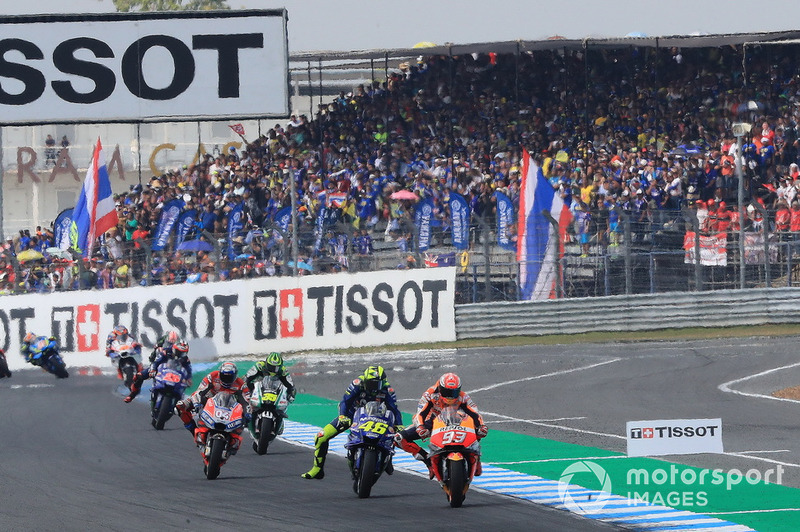 Thailand is the latest addition to the MotoGP World Championship courtesy of the state-of-the-art Buriram venue; Motorsport Live takes a closer look to the event and wider country. 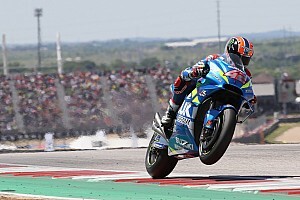 Thailand became the latest Asian country to host a world-class motorcycling event, when World Superbike was held for the first time at the Chang International Circuit in March 2015, and three years later the Herman Tilke-designed venue joined the fray in MotoGP. 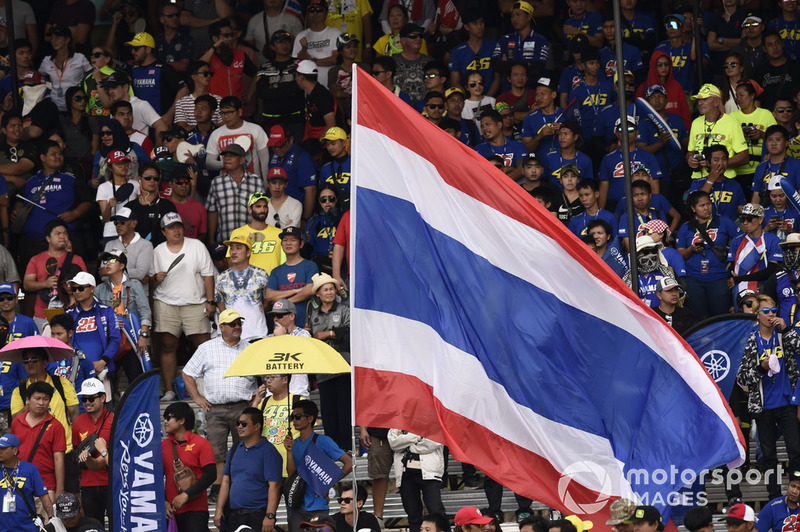 Located around 400km northeast of the country’s capital, Bangkok, the Thai Grand Prix takes place in the town of Buriram, with the province’s name literally translating into “city of happiness”. 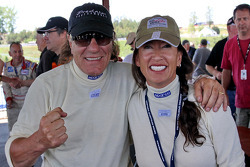 The track and all of its facilities are spread over 470 acres, and the circuit is able to accommodate over 50,000 spectators offering 180° views of the entire track. With a lap length just over 4.5 kilometers, consisting of 12 turns, one of its main highlights is the kilometer-long straight that results in speeds of up to 330km/h. Making it prime for slipstreaming battles. Watching the race from the main grandstand is a notable option, but the selection of grandstands located around the circuit, delivers a great way to see the action. The circuit also has dedicated Rossi and Marquez Stands. 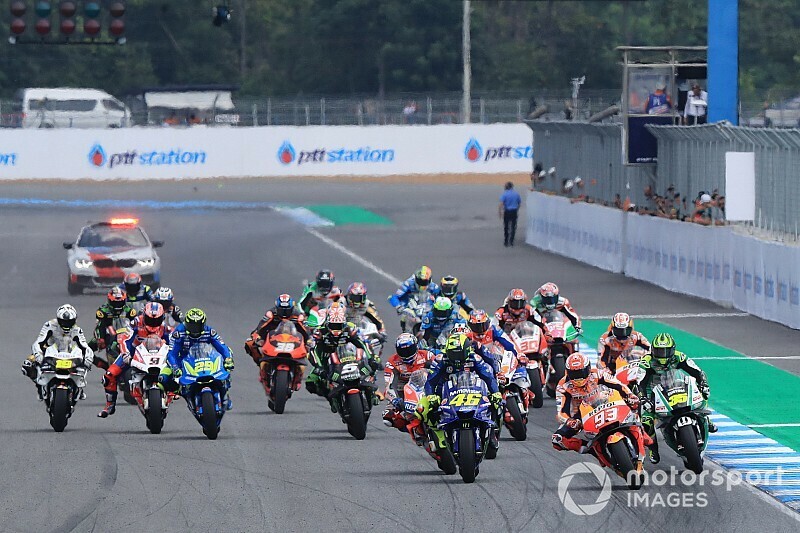 MotoGP has only raced once at Buriram but it was a stunning introduction; a three-way battle for victory was decided only at the final corner as reigning World Champion Marc Marquez edged long-term rival Andrea Dovizioso by just a tenth of a second after nearly 40 minutes of frantic action. Support categories Moto2 and Moto3 also put on a frenetic show for the thousands of enthusiastic spectators that lined the circuit. 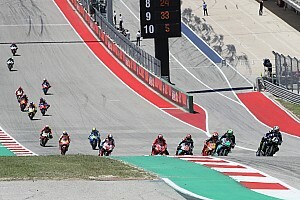 The level of attendance and organization of the event meant it was voted as the best Grand Prix of the season by the MotoGP paddock and the Grand Prix Commission. 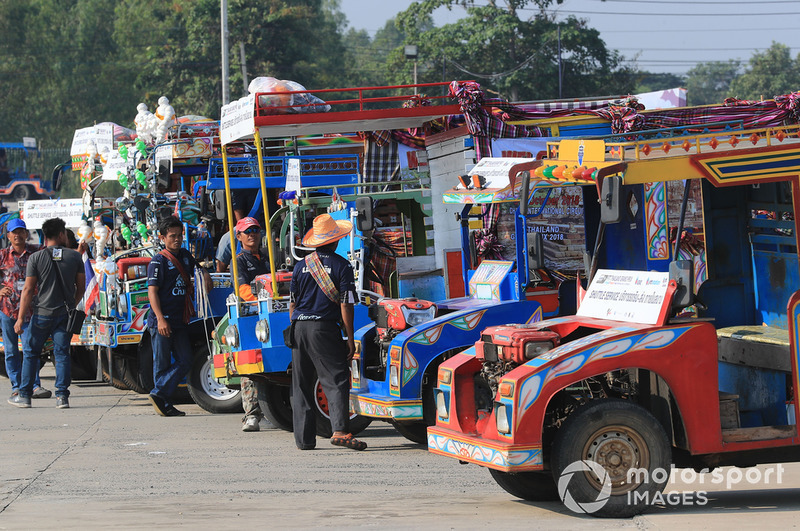 Outside of the Grand Prix Buriram has an array of offerings for any spectators. The town is also home to Buriram United F.C. who is the current Thai Premier League Champion and plays at New I-Mobile Stadium for those looking for another sporting outlet.Their stadium, the wonderfully nicknamed Thunder Castle, roars to life on match days and would be well worth a visit as it is just 2km from the circuit. Although far from the cultural metropolis of Bangkok, Buriram provides some worthy attractions for the fans that have made the distance to be there. For example, the nightlife of Sro Ground (Walking Street). It is a tourist attraction that draws foreigners and Thais alike. The street runs from the south end of Romburi Street to the Romburi-Sukhonthamat intersection and closed to vehicles from 5pm-12am. Other attractions are Lower Northeastern Cultural Centre, The Monument of King Rama I, Khao Kradong Forest Park, Kradong Reservoir and Huai Talat Reservoir and Buriram Bird Park. There are also many shopping malls in Buriram that blend Thai culture with Western-led commercialism, meaning there’s something for everyone. In Buriram, the local Isan cuisine is distinctly different from central Thai food. The best-known dishes are Som Tam (spicy salad made with papayas) and Gai yaang (roast chicken). But fans can also try Tom Yum, a type of hot and sour Thai soup. Usually cooked with shrimp or Mango Sticky Rice, a traditional Thai dessert made with rice, fresh mango and coconut milk. Buriram itself is not the most accessible of locations but it is reachable by car, bus or train from the capital Bangkok, whose Don Mueang International Airport services flights worldwide, but don’t let that put you off. It's well worth the trip and is ideal for those looking to make a MotoGP race visit as part of a wider holiday. 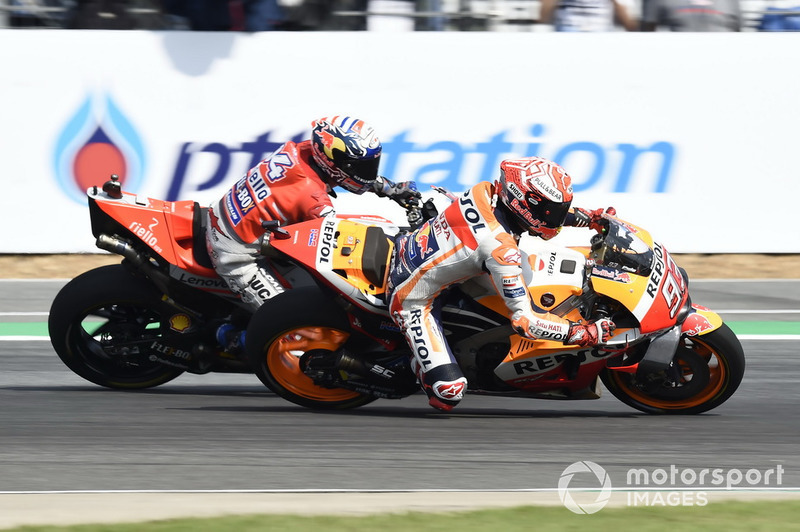 If you want to experience the heart of Asia, enjoy some of MotoGP’s newest facilities and take in the championship’s best event of the season – their words, not ours – then join Motorsport Live for the Thai Grand Prix. Pricing starts from £54. To see all options click here.